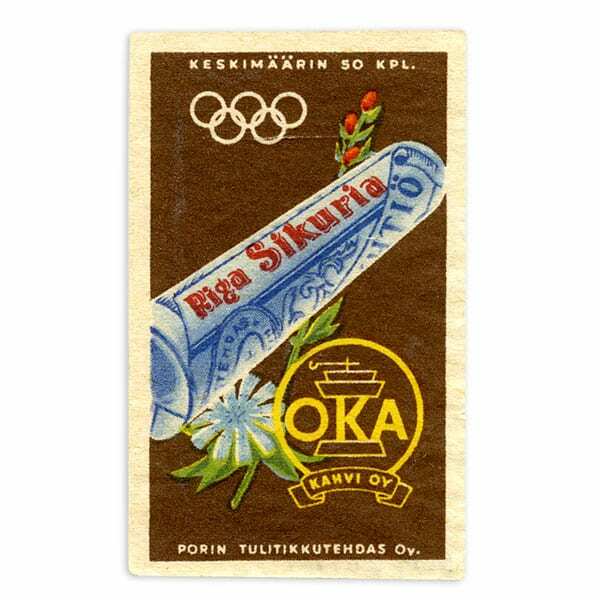 Description: The texts: OKA KAHVI Oy; Riga Sikuria; PORIN TULITIKKUTEHDAS Oy; KESKIMÄÄRIN 50 KPL. White Olympic rings. Other information: Advertisement of a coffee company.